'Virus signature' is often used term in the IT security industry. Simply put, these virus signatures are responsible for identifying different kinds of viruses based on an already established set of characteristics (found out usually during the virus testing process various cybersecurity threat labs across the globe)just like we've come to identify and associate balaclava masks with robbers. Typically virus signatures are files which antivirus software download from time to time, to keep themselves aware of the latest malware which is doing rounds. These files usually contain the criteria (or characteristics) for checking for a virus belonging to a particular family or a relatively new virus (or malware). But the main drawback of this method is the delay or failure in identifying a new virus, because your antivirus database may not have been uploaded with the new virus signature and by the time that gets downloaded, the damage would have been done. While traditional virus signatures are the result of how a particular virus (or malware) tests out in a sandboxed environment, heuristics or behavior based virus signatures are the result of the behavior exhibited by a particular virus (or malware) during the testing process. In other words, it's not proven data but known signs based on which the presence of virus or malware is suspected. This is an advanced method of recording virus signatures which is perfect to tackle the modern-day malware that keeps changing its shape almost every day. More than ever, in today's ever-changing cybersecurity threat landscape, it's quite important for antivirus software to keep themselves updated with the latest virus signatures. If not, they won't be able to offer real-time protection. For this reason, most antivirus software today make use of cloud-based technology to ensure they are in sync with the latest virus or malware discoveries. 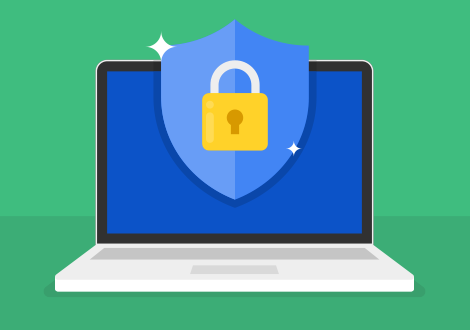 All PC users like you have to do is ensure you stay connected to the Internet 24/7 to ensure the antivirus offers real-time protection. Comodo Best Freeware Antivirus which comes equipped with impressive security features offers the best real-time protection to your PC(s). Equipped with cloud-based malware analysis feature, its database is updated with the latest virus signatures as and when they surface in the cybersecurity world, and thus offers solid real-time protection. Moreover, other security features like Comodo's unique Default Deny Approach for checking unknown applications, Containment for running and testing unknown applications, Host Intrusion Prevention System (HIPS) for PC protection, and Viruscope for monitoring the various processes which run on your PC, the chances of malware threats and even zero-day attacks infecting your PC(s) are very less. All these provisions make Comodo Antivirus the best freeware antivirus in the cybersecurity industry.